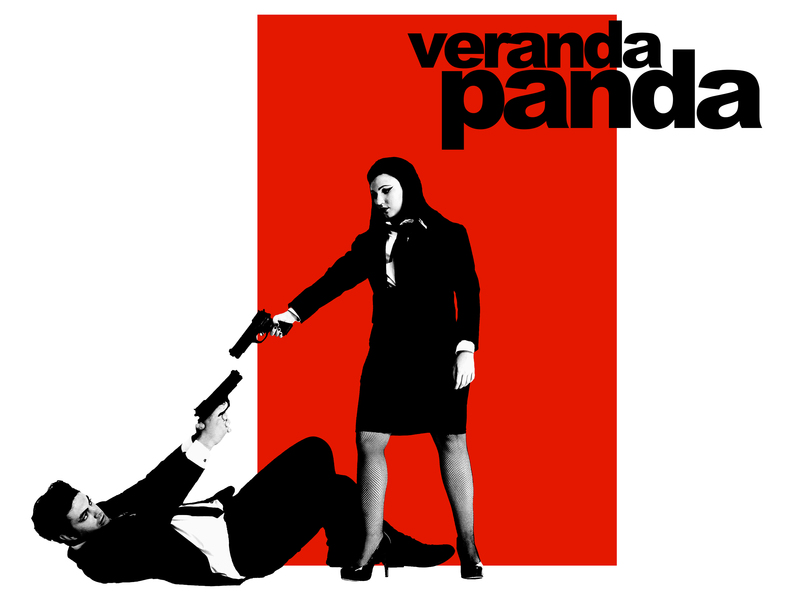 Firstly please tell us the inspiration behind the name Veranda Panda? (Liam) The story begins as any good story does with the following sentence: “So I was drinking beer in Belgium when…” I stumbled across a ceramic panda bear that look as if it was reclining under a veranda. At the time I was on tour doing a theater production in Europe and was sampling plenty of the local drink. My friends at the time had been making everything rhyme and when I found this particular object I exclaimed; ‘Look at that Panda resting on a Veranda. It was a long time ago, and I was DJ’ing a bit on the side. Somehow the name managed to stick. It was fun and irreverent, did not take itself to seriously. (Allot like me I guess) When I met Jane in 2010 and we began working together, we went through a couple names, but Veranda Panda seemed to end up being the favourite. Just to be clear; Veranda Panda is now Myself (Liam) on machines and Jane on violin. 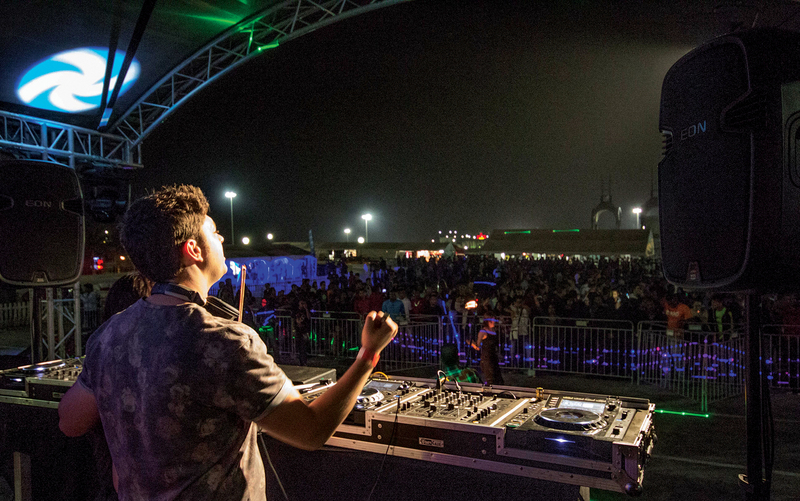 When did you start DJ’ing and who or what was your passion behind it? (Liam) I began around 2002, playing mainly at house parties. I came from a family who LOVED music. My mother had an amazing sound system that she had no problem blasting at top volume at 2am. They solidified a very vast and passionate appreciation for music in me. I guess I just gravitated towards it! I used to try DJ of discmans! I started buying my first samplers and effect pads around my early twenties, learned to scratch and mix on Turntables, and pretty much immersed myself in as much music production as I could. I have to make special mention of a Cape Town act called ‘The Real Estate Agents’. Watching them play was a massive inspiration for me to start DJ’ing and more specifically, producing and playing live. 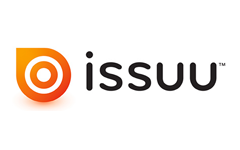 What event would you say was your big break into the industry? (Jane) I don’t think there was a specific event. Its more a culmination of work and consistent effort that allows you to slowly chip away at success. Working in this industry has proven that nothing comes easily! Obviously we have played some amazing shows, and we are very privileged to be doing what we do. But those gigs would never have come about if it wasn’t for the hundreds of others that it took to get them. The scene is very fickle, you have to stay relevant and most importantly you have to keep setting higher standards for yourself. 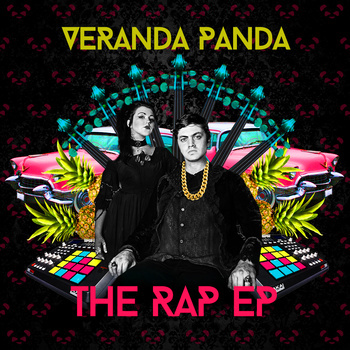 What sets Veranda Panda apart from other acts? (Liam) Well the most important factor is that we often play live. 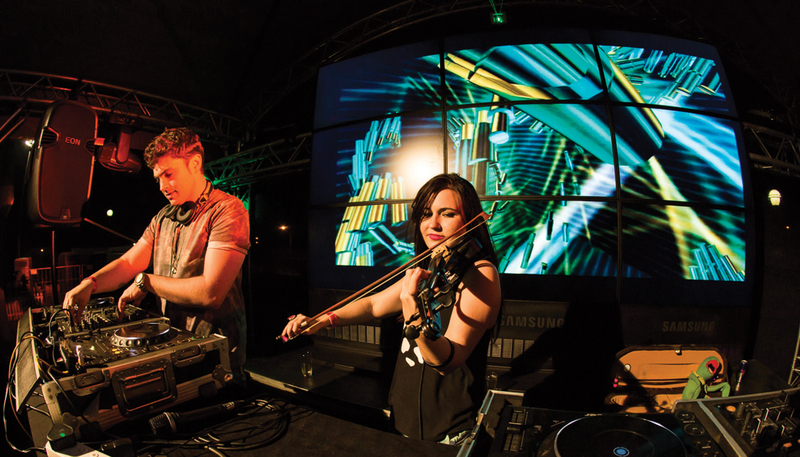 Jane plays electric violin, and I make use of samplers and effects pads during the set. Allot of the music is our own production, bootleg or remix, and we try steer clear of commercial music as much as possible. Obviously we are not music Nazi’s! There is plenty of pop music that is cool, but we don’t just play a song or genre because its popular. We Love the music we play and we try to make our sets as vibrant and eclectic as possible. In an hour set its not un-common for us to go between six different genres, and I don’t think allot of acts do that. Is the music on your iPod the same as what you are playing on set? (Jane) No not really. We have a pretty broad taste in music and often the music on our i-pods our in our cars is completely removed from what we play. I think I also speak for Liam here when I say, the last thing you wanna hear after a night out playing clubs, is more dance music! You just want to chill and listen to something that dictates a different emotion. Personally I love Trance. Whats your view on the genre? (Liam) We are not the biggest fans of the music but I fully support the culture and what it stands for. I appreciate any scene that is passionate about their music, not because the radio told them to like it, but because they made a personal choice. Trance heads are some of the most passionate fans you can get! Not just here, but all over the world. That’s awesome and should be commended. Music is incredibly personal, and people should not be afraid to make up their own minds about what they like. They only way you can do that is to expose yourself to as much as possible! If you only like whats on TV or Radio, your missing out on so much! Whats your favourite place to have a meal? (Jane & Liam) Parc Cafe, The Glenwood Bakery, Pizzetta & Spiga! (Jane) We were actually shopping for props for our ‘Pineapple Sunday’ music video at China Mall in town, when we came across this lonley frog sitting among the blow up balloon toys. He was the only one in the shop and he didn’t have a price tag! We took him to the counter and apparently he cost R10. So without a seconds thought, we bought him! This was before the meme even came out. 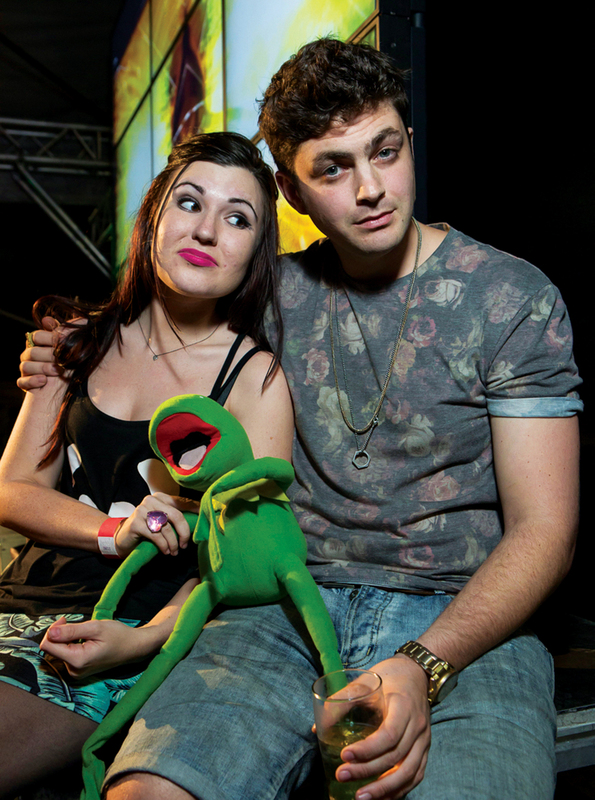 We are convinced its the real Kermit from Hollywood and we were always meant to find him. Now its an every day battle trying to keep him! He ends up in random houses and clubs every weekend. Its a miracle he’s still in my room. (Liam) I want a white Audi TT sport number! With black side mirrors so its like the ears of a panda. If you have any connections who would be keen on hooking us up! Let me know! I will buy you a cappuccino. 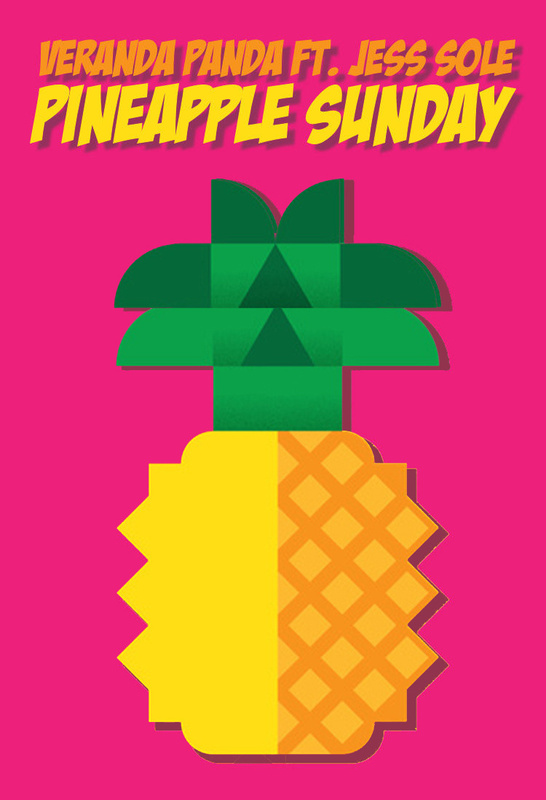 So Pineapple Sunday!! tell us more about the song? (Jane) We worked with our very special friend; ‘Jess Sole’. An insanely talented actress who lives in Cape Town. Its from our latest EP release and is completely available for free along with four other songs from the album. It is also our first 5FM play-listed song! Which was a pretty awesome step for us. National radio play is super awesome and we hope it opens the door for many more to come! Its pretty much a fun, bass driven tune. When you’re not behind the decks where can we find you? (Liam) Working on sound design for various clients, running, cycling on the beach, making music, writing scripts, acting in the corporate world, eating good food at favorite Durban Hang-outs, watching series, laughing with friends, trying to keep Kermit under control! Whats your ultimate event to play at? (Liam) We are really keen on playing in Europe! We have our sights set on a tour next year, so a festival in Amsterdam would probably be at the top of our list. Any shout outs or special thanks?